Hip fracture surgery is a common surgery where a urinary catheter is used to continue regular bladder function. Of course, cathing is not a procedure that anyone wants to go through, its relatively unpleasant, and those going through surgery that requires a urinary catheter want to return to normalcy as soon as possible. 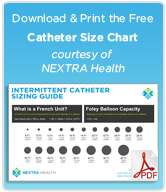 Clamping the catheter is supposed to shorten the amount of time it takes to return to normal bladder function, but a study suggests this common practice has little or no effect on the number of catheters needed or the time cathing is required post-surgery. Researchers studied 113 patients 50+ who had a hip fracture and urinary catheters. Some had either had their urinary catheters clamped before removed, and some were removed with free drainage. It was discovered that no difference was found between the two groups in the time it took for their bladders to return to normal function or the time they spent in the hospital. 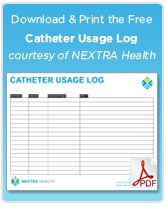 It’s a benefit for nurses who can simplify the process of re-cathing, which before required the time and consideration to clamp the catheter as part of the procedure.